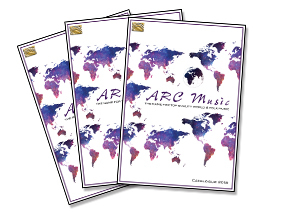 As leaders in traditional world and folk music since 1976, ARC Music has amassed a huge catalogue of ethnic music covering the entire globe. With well over 700 albums covering over 120 countries and cultures, the ARC Music catalogue is your first step to learn about and discover our planet’s folk music. This is over 100 pages of the best in world, folk and ethnic music. All recordings are of the highest quality and most feature information on the music, culture or country, the songs and the artists. All albums in the catalogue are available to buy at the ARC Music website, or at any good music retailer anywhere in the world.